If you belong to any social networking sites including Facebook, Google+, LinkedIn, Instagram, Twitter, etc., it is our STRONG recommendation that you disable all such accounts while any divorce or family law case is pending. We warn you to use extreme caution if you choose not to disable all such accounts. Understand that anything you write or post will likely be reviewed by the opposing party and ultimately submitted into evidence at a trial. It is now standard practice for attorneys to run digital searches and investigations to obtain information about a litigant’s personal life without that litigant’s knowledge or permission. Increasingly, attorneys have sought and been granted court orders requiring that parties provide all account passwords and information as part of the discovery phase of a court case. If you have such an account, you should immediately verify that all your settings are on PRIVATE (or the highest setting possible) and nothing is public. Even with the highest privacy settings, you should only write or post items that cannot be used to hurt you. 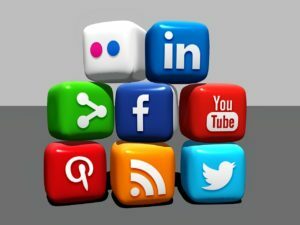 Our best advice to client is to disable all social media and networking accounts until your case has been completed. Do not allow anyone to become a “friend” or similarly trusted contact unless you are entirely certain that you know and trust the alleged friend. Do not post any photographs or videos of yourself. Do not “check in” to any location. Disable “tagging” on your account such that no other user can “tag” you in his or her posts. Do not disclose any personal information regardless of whether you believe it to be pertinent to your case. Do not send emails or text messages regarding your case or the underlying facts to anyone other than your attorney. Such correspondence may be available to the opposing party during discovery. Do not participate in any blogs, chatrooms or online message boards. Be aware that the opposing party may ask the court to order the release of all information contained within your home computers and laptop computers, cell phones and tablets regarding the issues addressed herein. Such data can be fatal to a case. Asking you to limit your social networking is a great inconvenience but it is necessary to protect your rights.